TMC was pleased to be appointed in January 2018 to assist the Shanghai Salvage Company in the difficult and dangerous attempted salvage operation of the tanker before it sank and is continuing to provide technical assistance in connection with the ongoing work on the seabed. The removal of the grounded containership KEA TRADER from Durand Reef in New Caledonia has entered a new phase of operations. The selected contractor, Shanghai Salvage (SSC) has taken over the removal operations of the wreck from Ardent in early April. SSC have arrived into New Caledonia in late March, with both their onshore and offshore salvage teams, floating assets, and salvage gear. Initial surveys of the condition of the wreck and worksite have begun. TMC continues to be in attendance as Owner’s and P&I Club representative and continues to liaise with the local authorities and SSC for a successful wreck removal and return of the reef to its original state. TMC are acting as weight control surveyors during the drydock of CARNIVAL ELATION in Freeport, Bahamas. As hurricane IRMA approached the area, TMC contributed calculations for the difference in lightweight the large renovation project incurred. With the vessel high and dry, draughts cannot be read and so the changes in weight have to be estimated and closely tracked. On 7 September, ELATION, with the TMC surveyor onboard, sailed to avoid the hurricane with draught readings that exactly matched the estimates, and very good stability. After four days spent sailing northeast of Cuba, she was back in the drydock, with work continuing and TMC on site to advise on the final lightweight. KEA TRADER ran aground on Durand Reef in the South Pacific Ocean on the 12th July 2017 whilst en route from Papeete (French Polynesia) to Noumea (New Caledonia). TMC have been appointed by Skuld P&I Club to assist and attend the casualty acting as representatives for the owners and insurers to oversee the removal of fuel oil, containers and salvage of the vessel. Charles joined us in July 2017 as a Consultant Naval Architect based in Singapore after spending more than 15 years in a reputable marine consultancy and ship classification society (IACS member). He has extensive experience in hull & machinery damage surveys, vessel damage assessments and marine accident investigations. Having done a wide spectrum of surveys and assessments, he has intimate knowledge on a wide range of marine vehicles, fixed and floating offshore units. He regularly prepares reports and assists ship owners, underwriters, loss adjustors and lawyers in legal liability & dispute cases. 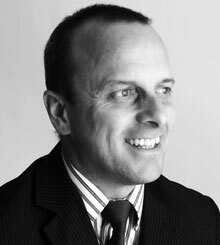 He has working experiences across multiple countries within the Asia Pacific region. To view his Profile, click here. TMC Marine has featured in the May edition of the well known ‘Tanker Operator’ monthly newsletter. Ian Hodges, Master Mariner wrote an article about ‘loss control on product tankers’. Alternatively to view the entire magazine, please click here. On 5th October 2011 the 3351 the containership RENA grounded on the Astrolabe Reef in the Bay of Plenty, New Zealand. TMC surveyors attended the RENA salvage and wreck reduction operations in Tauranga as the technical and on site representatives for the Owner and their P&I Club since the 2011 grounding. During that time the operation has transitioned through the operational phases of emergency response, wreck reduction including debris removal and target cargo recovery through that of legal argument. The operation phase was completed on 5th April 2016, exactly four and half years after the grounding and resulted in the removed all the debris from wreck and cargo. This has facilitated the regeneration and recovery of the reef’s flora and fauna. Apart from supervising the operational aspects, TMC played an important role in the owner’s RENA Project Team. The team’s primary task was the preparation of the Resource Consent Application to the New Zealand Environment Court to leave the remains of the wreck in situ. The Project team also liaised with the government, community and Maori tribal groups. This enabled a broader understanding of the complexity and difficulty of the offshore operations whilst in return; the team garnered an appreciation of the wreck’s consequences on cultural values. TMC’s role also involved the development and implementation of the scientific environmental sampling program, Wreck Access Plan and the Volunteer Coast Guard’s “Reef Watch”. These programs facilitated the smooth and safe transition of the Astrolabe reef and RENA wreck from an industrial work site to one of community amenity. In March 2017, TMC Directors Colin Barker (Naval Architecture and Master Mariner) and Captain Roger King (Master Mariner) provided expert evidence in the Environment Court hearing before Judges Smith and Fox. 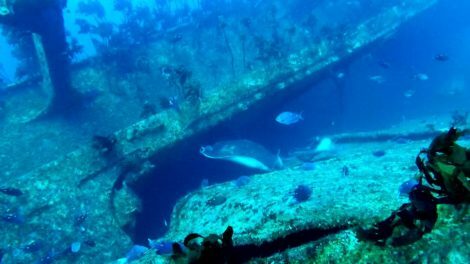 The Environment Court hearing was brought about by the appeal of a small number of parties dissatisfied with the 2016 decision handed down by the Regional Council Hearing granting consent to leave the remains of the wreck in situ. The latest judgement is due to be handed down by July 2017.